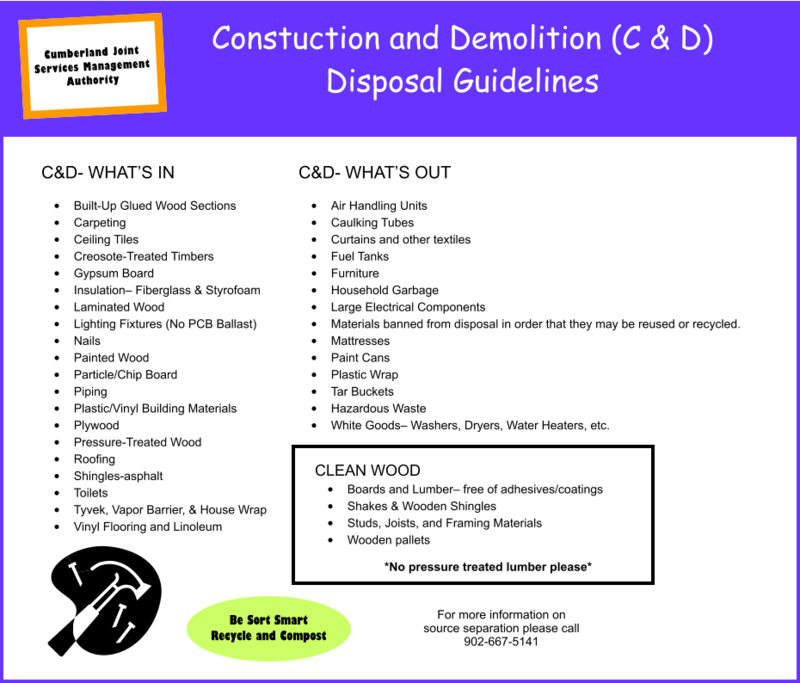 C&D- WHAT’S OUT • Air Handling Units • Caulking Tubes • Curtains and other textiles • Fuel Tanks • Furniture • Household Garbage • Large Electrical Components • Materials banned from disposal in order that they may be reused or recycled. 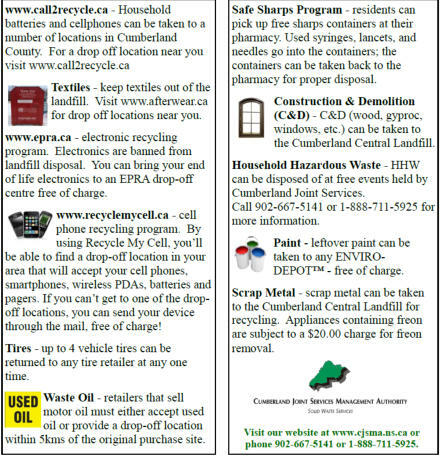 • Mattresses • Paint Cans • Plastic Wrap • Tar Buckets • Hazardous Waste • White Goods– Washers, Dryers, Water Heaters, etc. 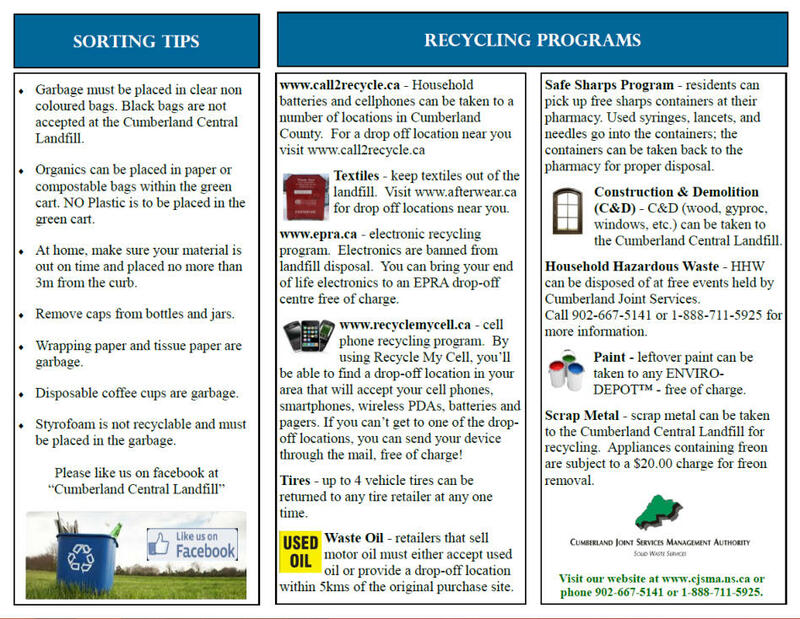 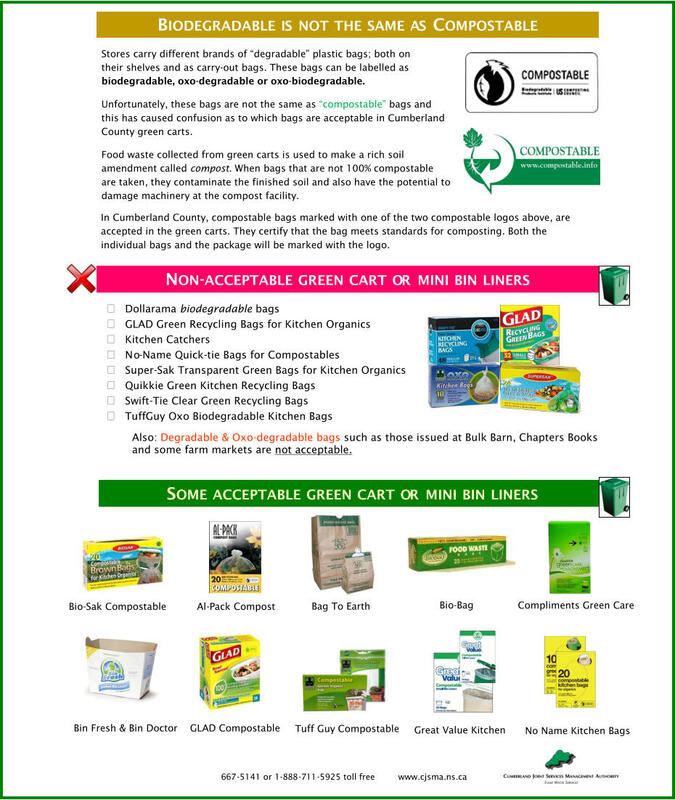 In Cumberland County, compostable bags marked with one of the two compostable logos above, are accepted in the green carts. They certify that the bag meets standards for composting. 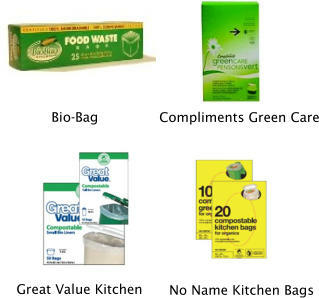 Both the individual bags and the package will be marked with the logo. 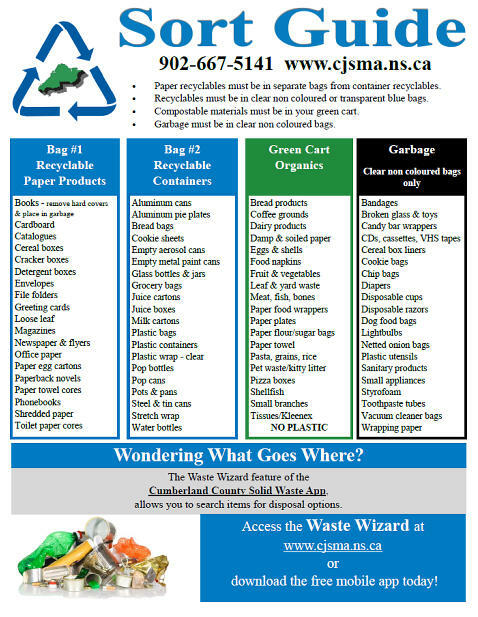 Also: Degradable & Oxo-degradable bags such as those issued at Bulk Barn, Chapters Books and some farm markets are not acceptable.